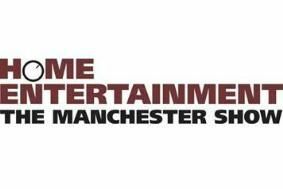 See our 2010 Award winners at the Home Entertainment Show, Manchester | What Hi-Fi? What's more, there will be hundreds of new products on display, great discount deals and some fabulous prizes to be won in the show competition. Streaming systems, wireless multiroom, and products designed to take your music and make it sound even better – it will all be on display, with 74 exhibiting brands confirmed so far. Highlights include the world launches of Arcam's long-awaited BDP-100 Blu-ray player, B&W's CM8 floorstanding speaker and KEF's new Q Series. The show takes place at the Renaissance Hotel, Blackfriars Street, Manchester M3 2EQ. Tickets are available on the door for £6 (adults) and £3 for students and senior citizens. Accompanied children under 16 are free. For more details of what's in store, and daily updates, see our Home Entertainment Show blog.